You're Invited! 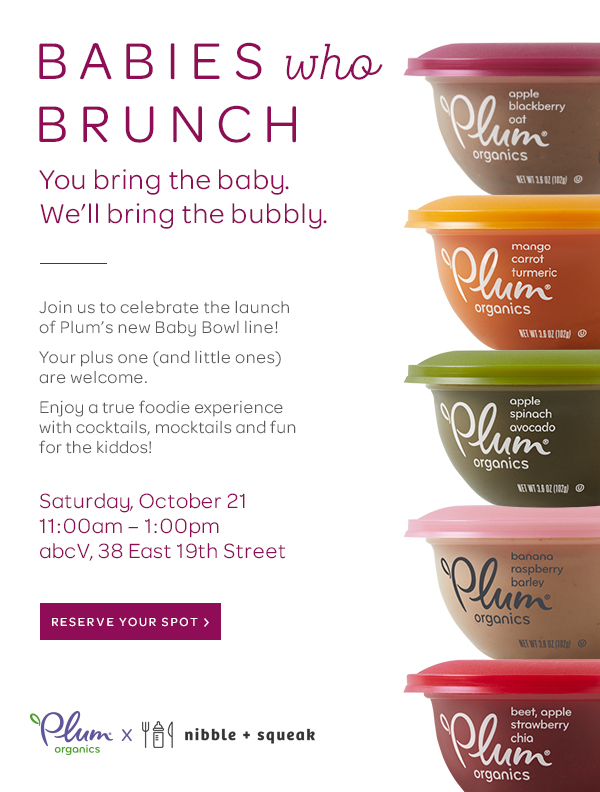 Join us at abcV for a very special brunch to celebrate Plum's new baby food line! PLEASE NOTE: The event is currently full, but we are accepting RSVPs for our waiting list! We may be able to open up some more space closer to the date.